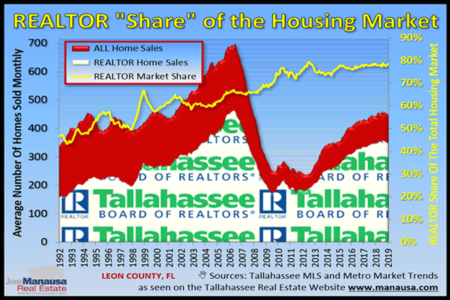 Is Tallahassee's Median Home Price Getting Unreachable? The median home price in Tallahassee continues to rise, which can be viewed as both good and bad for the real estate market. On one hand, it makes buying a home a good investment, but on the other hand it might be getting tougher for the average family to buy a home. Today's report shows 53 homes for sale that are very similar to the median home of 2017, and it also includes charts, graphs, and a brief analysis of the median home in Tallahassee today. The following graph shows the median home price in Tallahassee from 2003 through 2017. The median home price rose nearly 6% in 2017 to $185,000, and this includes all new and used single family detached homes, condominiums, and townhouses. But does this move make the median home price in Tallahassee unreachable? I don't think so, but there are some concerns. First of all, this is the highest median home price recorded during a calendar year in Tallahassee (Ever). New highs should always bring about new scrutiny. Secondly, current buyers are paying less monthly for this home than they were in 2007 because mortgage interest rates are so low. What will happen when interest rates rise? I believe we'll see the median home price continue to grow, albeit at a far slower rate. A significant rise in mortgage interest rates is not expected, but should one occur, you can expect to see the growth in the median price stabilize or even decline. The following graph shows the median home value in Tallahassee from 2003 through 2017. The median home value rose more than 6% in 2017 to $117 per square foot. Unlike the median home price, this is not an all-time high. In fact, the median home value in 2017 would only tie for 4th highest with 2005. 2017 marked the fifth year in a row that the median home appreciated in Tallahassee. In fact, home values have moved more than 27% higher since the market bottomed in 2012 yet are still 10% below peak of the market values recorded in 2006. So how are median prices at an all-time high when the median value is still a bit below that level? Well, the simple answer is that the specific features of the median home changes each year with market conditions. "Price" is what buyers are capable of paying, whereas "Value" is what sellers get for their homes. For simplicity sake, this means that the variable that separates price and value is "Size," and that is what buyers get for their money. The following graph shows the median home size in Tallahassee from 2003 through 2017. The median home size declined just over 1% in 2017 to 1,587 square feet of heated and cooled space per home. So what should we expect looking forward? Median home sizes will continue to decline. Why? Inventory is low and demand is strong. This means we'll see more new construction over the next ten years than we have seen over the previous ten years. With the cost of construction rising, newer homes are going to be getting smaller (yet more expensive). Look back at the peak of the market (in the graph above), when new homes were dominating the market in 2006, the median home size was 11% smaller than it is today. Conversely, when the market tanked and reached bottom (and hardly any new homes were being built), home sizes set a new high and were nearly 16% larger than they were at the bottom of the market. So many people were hurt financially when the housing market collapsed in 2006, and it took more than ten years for the market to regain its healthy vigor. The "value" graph above shows that homes are not yet worth what they were at the peak of the market in 2006, but we are now within 10% of this level. So for 11+ years, homebuyers have controlled the market. Supply was bountiful and buyers were scarce, thus the buyers' market ensued. But times change. Cycles come and cycles go, and right now we are swinging into a sellers' market cycle. Does this mean that every home, in every area and price range is operating in a sellers' market? No! 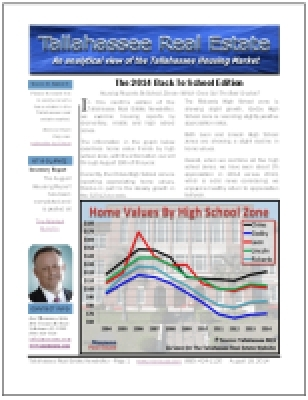 But more than 80% of Tallahassee homeowners are enjoying a sellers' market. How about your home? If you've wondered whether or not it is a sellers' market yet for your home, you can find out using our property valuation tool. It's simple and gives you two quick online valuations that will help you in determining the market for your home. 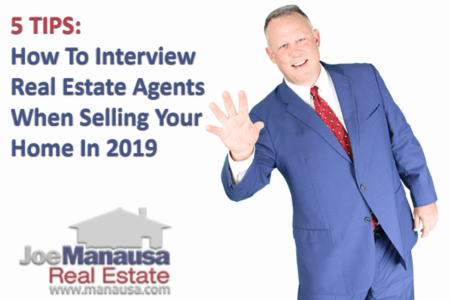 If you think you might be interested in selling your home within the next few years, we have a really cool, brand new service for future home sellers. Simply give us a call at (850) 366-8917 or drop us a note and tell us you'd like to enroll in our market report program, and we'll send you (every month) a report that includes all new listings that are similar to your home, and new contracts on homes similar to yours, as well as all similar home sales that have occurred over the past 6 months. In other words, you'll receive the same information that property appraisers would use to determine an appraisal value of your home.